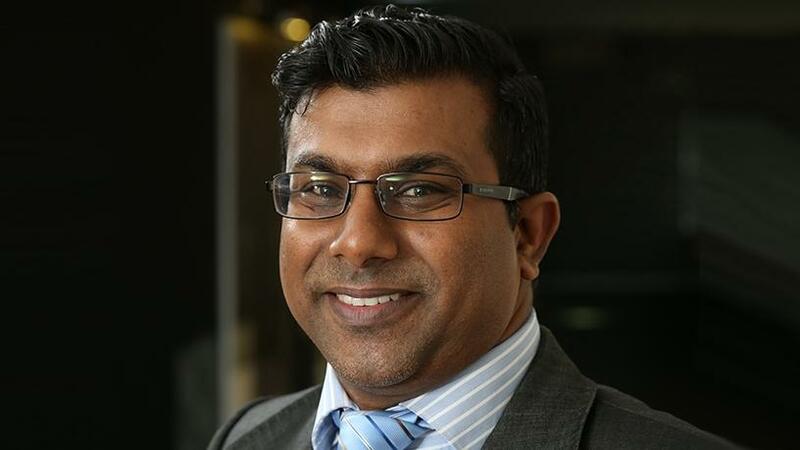 Vernon Thaver, executive partner for executive programmes of service delivery at Gartner. Communications services providers (CSPs) across the globe are cashing in on adjacent market opportunities. So said Vernon Thaver, executive partner for executive programmes of service delivery at Gartner, speaking yesterday at the Southern Africa Telecommunication Networks and Applications Conference (SATNAC) in Hermanus, Western Cape. The goal behind expanding into an adjacent market is to leverage a business's existing capabilities and apply them to a distinctly new market. According to Thaver, CSPs are delving into the adjacent markets because legacy services like voice (fixed and mobile) are experiencing a decline in most markets. He pointed out that in a recent Gartner study, the market analyst firm discovered that 31% of leading CSPs achieved 21.7% of total revenue in adjacent markets. However, nearly 70% of total revenues are still tied to legacy access services. According to Gartner, digital media and IT services are the biggest contributors of adjacent market revenue. Thaver noted that adjacent market revenue, though on 21.7% of total revenue, was responsible for more than half of the total growth contribution (52.7%). He added that rich media still leads consumer services for CSPs, noting that some of the recent announcements include video content reselling and channel partnerships. He pointed out that in August 2017, CBS partnered with AT&T and did the same with Verizon in March 2017. CSPs across the globe are also offering branded content offerings; for example, Orange Content launched in July 2017, while Telefonica's Pigram launched in November last year. The other strategy is rolling out branded content offerings outside of pay-TV content; for instance, Verizon forming Oath in June 2017, while SKT's 360-degree Live virtual reality offering launched in February that year. Deutsche Telekom's Magenta virtual reality app also launched in November 2017. In regards to digital media services, Thaver said the largest nine global players are able to make major investments and, thus, gain large revenue. He urged CSPs to leverage connectivity services as an entry point into the Internet of things (IOT) space and pursue more opportunities. "By 2022, IOT connections will exceed mobile phone connections but connectivity will only be a small component of total revenue. Revenue opportunities lie in professional IOT services such as consulting, implementation and operations services." He added that CSPs must pursue IT services to capture digital transformation opportunities in the enterprise segment. However, he pointed out that many organisations are pursuing digital transformation services such as bimodal IT and adaptive sourcing but CIOs are being faced with challenges like cost pressures, finding good partners as well as skills shortages. "Choosing the right implementation model (knowing when to build, buy or partner) is crucial to success in digital services. Partnerships are currently CSPs' preferred implementation model with about 50% of digital services being implemented this way. "Acquisitions account for merely 5% of CSPs' digital portfolios as they are expensive and risky. Eight CSPs analysed launched several initiatives that leverage the platform business model particularly in cloud computing, big data, machine-to-machine/IOT and consumer digital services." Thaver believes CSPs must employ new business models to monetise digital services. He suggested three go-to-market strategies. "Producers of value can go to market to the end-user. For example, an ISV [independent software vendor] develops a solution and sells it to an enterprise. The ISV owns the end-user relationship. Producers of value can go to market through a third-party. For example, an app developer works with a systems integrator (SI) to take the solution to the market. The SI owns the end-user relationship." The third strategy is producers of value can go to market via the platform owner (the CSP); for example, an app developer works with the CSP to take the solution to the market and, in that scenario, the CSP owns the relationship with the end user. He pointed out that CSPs are paying a heavy price because of lack of innovation. "At present, there is greater emphasis on innovations that have a closer fit with the CSP's core business and network assets." Thus, he said, new governance and processes are required. "CSPs usually establish separate business units with their own metrics and KPIs. A rich innovation pipeline is vital since success rates for innovation initiatives are typically 5%."